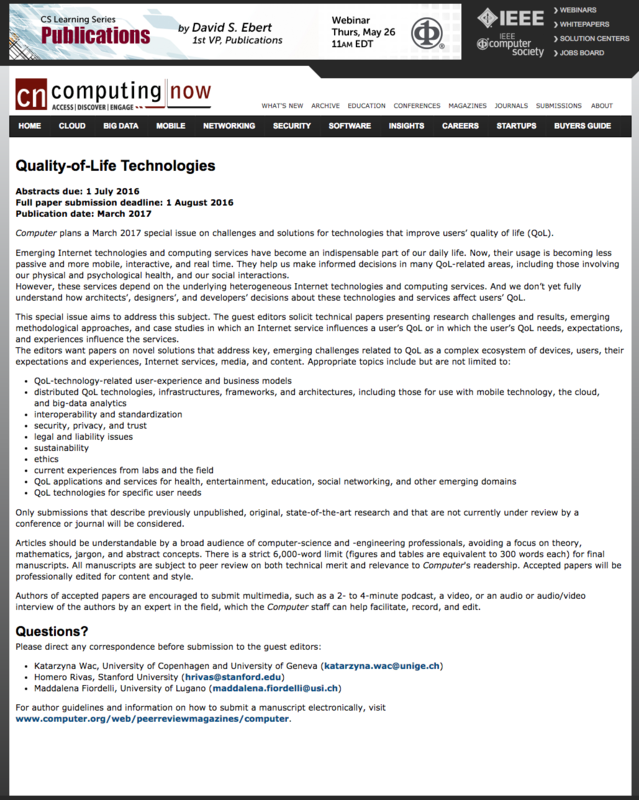 Call for papers for the Special Issue titled “Quality of Life Technologies” in the IEEE Computer Magazine (CFP) with deadline on 1st August 2016 and publication date early 2017. Update March 2017: SI Available online at DOI and multimedia resources for the articles available at Web. Aug 2018: Open Living Lab Days #OLLD18 in Geneva!